ACIMGA, CPA SpA together with UBM BES launches the new Printech trade fair brand with the strategic aim to create an area dedicated to the converting, package printing and labelling sectors in the most promising markets of Southeast Asia. Printech Asia the new show dedicated to printing and converting technologies and its trademarks are jointly owned, in equal shares, by ACIMGA, the Italian machine manufacturers’ association, and the International B2B events organizer UBM BES, thus sealing a comprehensive partnership, based on a common vision of support for company exports. 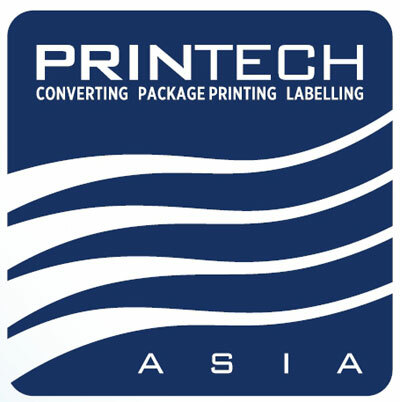 Organizing Printech Asia within ProPak Asia, which is visited by brand owners of emerging markets - ACIMGA Director Andrea Briganti said “is part of our new policy that favours the supply chain approach and community dialogue. It is not by chance, therefore, that the agreement between CPA SpA and UBM BES opens a privileged showcase in Asia’s No. 1 industry event where setting up an area dedicated to converting offers clear benefits to all packaging community stakeholders, from the supplier to the brand owner. On one hand, Printech Asia exhibitors will be positioned alongside their customers, i.e. those packaging producers that use their machines for printing and processing (and vice versa), and with whom it becomes easier to activate contacts and exchanges. On the other hand, one has the visitors, who find a trade show offering the latest and best proposals for all the processing steps of a packaging item, enabling users to comply to their business needs in a single visit and to expand their horizons to embrace the perspective of the entire supply chain, gaining valuable information and insights in terms of organization and strategy”. In fact, all networking undertakings promoted by ACIMGA over the last two years have been inspired by a community approach, from the successful conferences such as the last Print4Pack held at Palermo, to the big trade show Print4All to be held in 2018: a project that relaunches, in an international perspective, the historic Converflex, Grafitalia and Inprinting brands, empowering them with their convergence into Print4All. And by the organic cohesion with the other Innovation Alliance fairs: Ipack-Ima, Meat-Tech Plast, Intralogistics Italia that, along with Print4All will showcase technologies that serve the entire production chain and that account for - solely considering machines alone - a sector that is worth 19.1 billion euros.